You’ve probably noticed that SimpleTelly offers access to a LOT of different channels, but you probably have actually only checked out a handful of them. Here, we are going to start breaking down the different channels and what they offer so that you can start getting the most out of your SimpleTelly subscriptions. With over 190+ channels, SimpleTelly offers so many content options from around the world. 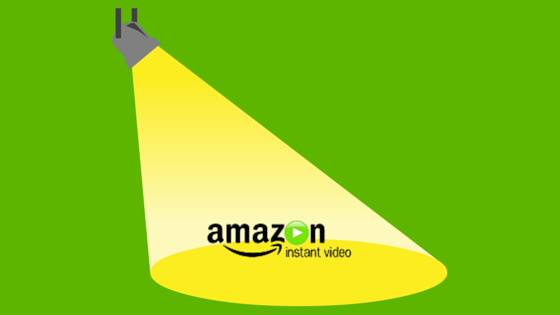 Today, we are going to break down Amazon Instant Video! Where is Amazon Instant Video from? Amazon is, of course, in a lot of countries around the world. With SimpleTelly, users can access the US, UK, and German versions of Amazon Instant Video. Just head to your Region Selector and pick which country you want! Keep in mind, you need individual accounts for the country you want to watch. Amazon Instant Video is really making a name for itself in the streaming world and giving Netflix a run for their money. With award-winning shows like Transparent, Amazon Originals are becoming some of the most popular content out there. Amazon also offers popular HBO shows like Soprano’s and Veep. Amazon Prime in the US is around $99 a year which comes out to about $8/month. How do I do I get started? First, you need to make sure you have an account with SimpleTelly! If not, you can check out our 2-week free trial. And don’t worry, you don’t have to enter any billing details or anything like that – after the 2-week trial, you can sign up if you like. If not, just simply remove our settings and carry on! Once you are all set up, just head to Amazon Instant Video and you will be able to start viewing all their free content! What devices can I watch Amazon Instant Video on? With SimpleTelly, you can watch on just about any device you want! Computers, mobiles, tablets, gaming consoles, smart tv’s, routers, and even media players; SimpleTelly has setup guides for just about anything you are looking for!